When you’re scrolling through social media, you’re bound to stumble upon “before and after” pictures emphasizing a fitness or weight loss transformation, the underlying message being that toned muscles or a smaller pants size is the key to happiness. Weight loss culture is all around us—from diet and fitness marketing and advertising to “fitspiration” on social media—it seems impossible to ignore the barrage of messages that not-so-subtly tell us how we can improve our bodies to live our very best lives. 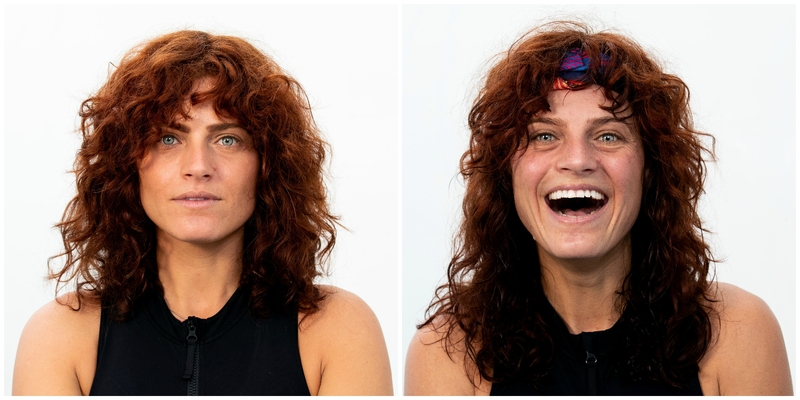 But in honor of World Mental Health Day on October 10th, one photographer is flipping the script on traditional “before and after” photos, focusing instead on the emotional transformation that exercise can have instead of the physical one. Photographer Raven B. Varona has worked with the likes of Cardi B, LeBron James, Kanye West, and more, most recently taking all the stunning shots for Beyoncé and Jay-Z’s On the Run II tour. 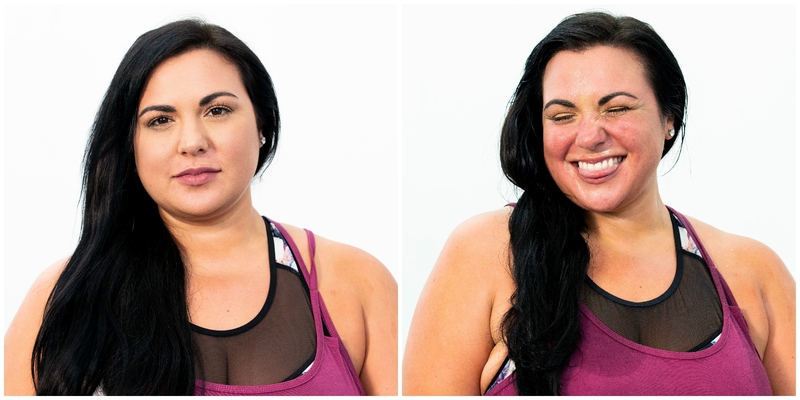 In her latest photo series, the Before and After Project, Varona captured images of 28 people of all shapes, sizes, backgrounds, and fitness levels immediately before and after taking a Zumba class, and the shots are sweaty, joyful, and powerful. The Latin-inspired dance cardio workout class has remained popular ever since its debut in 2001 because it doesn’t focus on reps, heart rate, calories burned, or “gains”—instead, it’s simply about the joy of moving your body to music. If you’ve ever taken a Zumba class, you know that those positive vibes are basically inescapable. 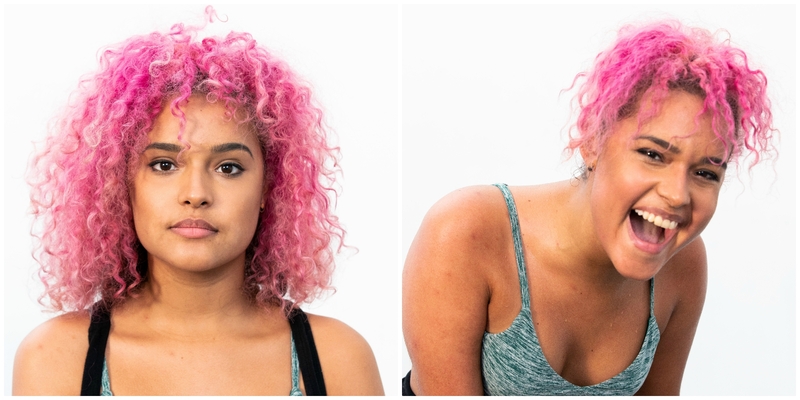 And Zumba is a great workout because it’s easily adaptable to most fitness levels and abilities—you don’t need to have Beyoncé-level moves to enjoy Zumba, but you’ll probably feel a little bit of that signature Bey swagger as you leave class, and that’s what makes it such a body-positive experience. 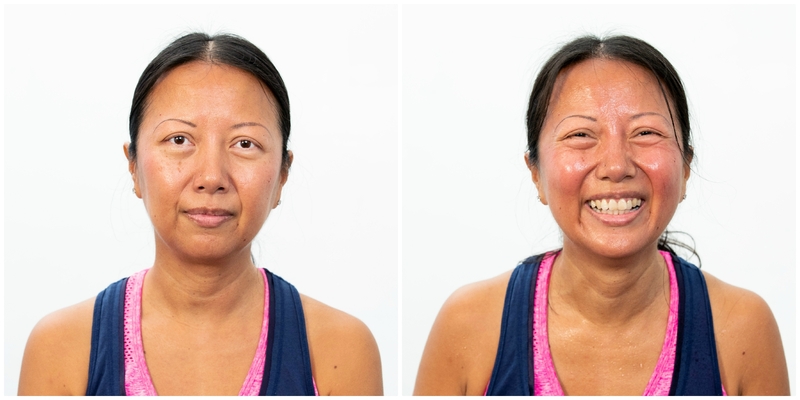 And while working up a sweat is great for your body, this photo series highlights the immediate impacts of exercise on your mental health, which is arguably just as important. An August 2018 study published in The Lancet Psychiatry journal gathered data from 1.2 million Americans, reviewing the link between regular exercise and improved mental health. The study found that people who exercised had 43.2% fewer days of poor mental health than those who did not, with team sports, cycling, aerobics, and gym exercise counted as having the biggest mental health benefits overall. Though regular physical activity has clear benefits to our physical and mental health, it can still feel discouraging to be faced with an onslaught of messaging on social media and advertising that seems to emphasize looking a certain way, but these photos remind us that you don’t need to force yourself through grueling workouts or worry about weight loss, because exercise can and should be joyful, not punishing. No matter what type of exercise you like to do, letting go of what your body looks like and focusing on how it feels can help you focus on feeling strong, powerful, and fierce. And this message is important not only on World Mental Health Day but every day, because your mental health and happiness are worth so much more than any number on a scale or in your jeans. Check out the rest of Varona’s photos on Zumba’s official Instagram page.